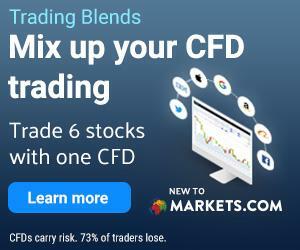 Update: Binary Options are since April prohibited within Europe for retail traders, therefore we advise to use a CFD broker instead, and avoid trading binary options. Binary.com is a binary options brokerage firm that was created in 1999. It is among the oldest and one of the most respected companies offering binary trading. The broker gives traders the opportunity to trade binary options on a broad range of mobile and web apps, each customized to complement the various trading strategies. Though, as binary options recently have been prohibited for retail traders, we advise using a regulated CFD, Forex or Stock trading broker instead. checkmark3 Great trading platform with free demo account. checkmark3 + 2000 Assets. Zero commission. Traders have a wide selection of assets that they can trade including currencies, stocks, indices, and commodities. The assets can be traded on Binary.com demo account or on a real account. For those seeking to make a deposit, the minimum and maximum that you can deposit or withdraw is dependant on the payment option you choose. E-wallets such as Skrill and Neteller have the least deposits of $5, while Bank Transfer has the highest at $500. Deposits and withdrawals are accepted in different currencies, including EUR, USD, GBP and AUD. Cryptocurrencies, such as Bitcoin, Bitcoin Cash, Ethereum, and Litecoin are also accepted as methods of payment. This brokerage prides itself in promoting quality trading and observing upright standards. We set out to determine the transparency of this broker and compiled an extensive Binary.com review for you. Before you register with them, take time to go through this review. The information herein will come in handy when you are looking for trusted trading platforms. Is Binary.com A Scam? Is Binary.com Regulated? Trading platforms that are regulated by authentic regulating bodies are more secure and safer. Binary.com is one of those firms that are heavily regulated. The company is licensed and regulated by multiple authorities. In EU, it is permitted to offer Category 3 Investment Services and is regulated by the Malta Financial Services Authority. In the UK and the Isle of Man, the firm is regulated by the Gambling Commission and the Gambling Supervision Commission respectively. In other parts of EU, the company is licensed by the UK Gambling Commission, for its UK customers, the Revenue Commissioners for Irish traders, and the Malta Gaming Authority for Malta customers. With such heavy licensing and regulation, you can already tell that this is one of the most transparent brokers. From our research and trial of the platform to determine if there was any likelihood of Binary.com scam, we were convinced beyond reasonable doubt that the firm is genuine. They have their mandate clearly spelt out and they do not uphold any crucial information that could raise suspicion. It is also one of the best forex and CFD brokers and is available in various languages including Thai, Portuguese, English, French, Japanese, Indonesian, Chinese, German, Polish, Portuguese and Russian. Binary.com is highly regulated, making it one of the most legit brokerage firms that you can trade with. Though since the ban on binary options, you might wanna consider another broker. Besides them, there are other brokers that you can try out. All if the brokers above are regulated CFD brokers. They offer forex, stocks, crypto and more. checkmark3 Heavily regulated and safe trading platform. checkmark3 Low fees, 500:1 leverage, and 10.000+ assets.